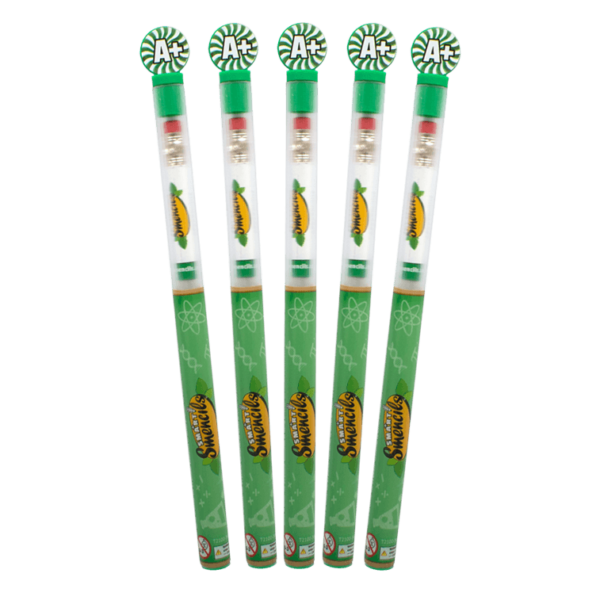 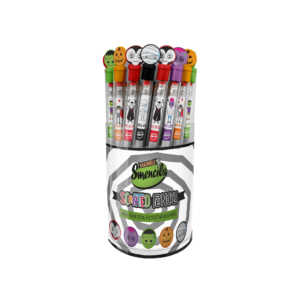 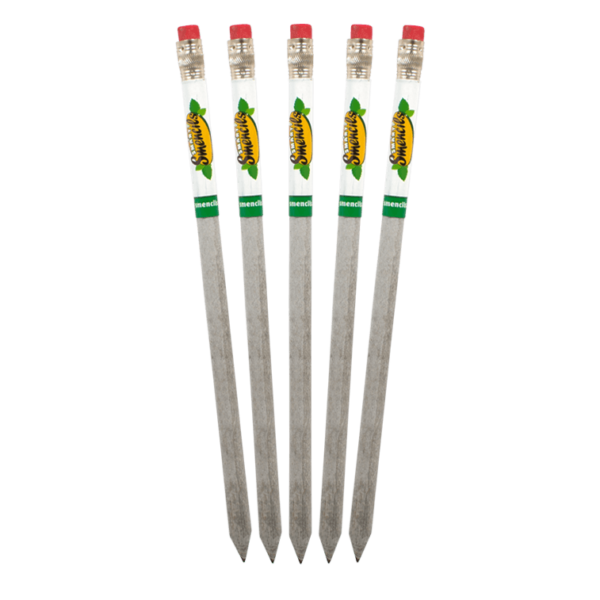 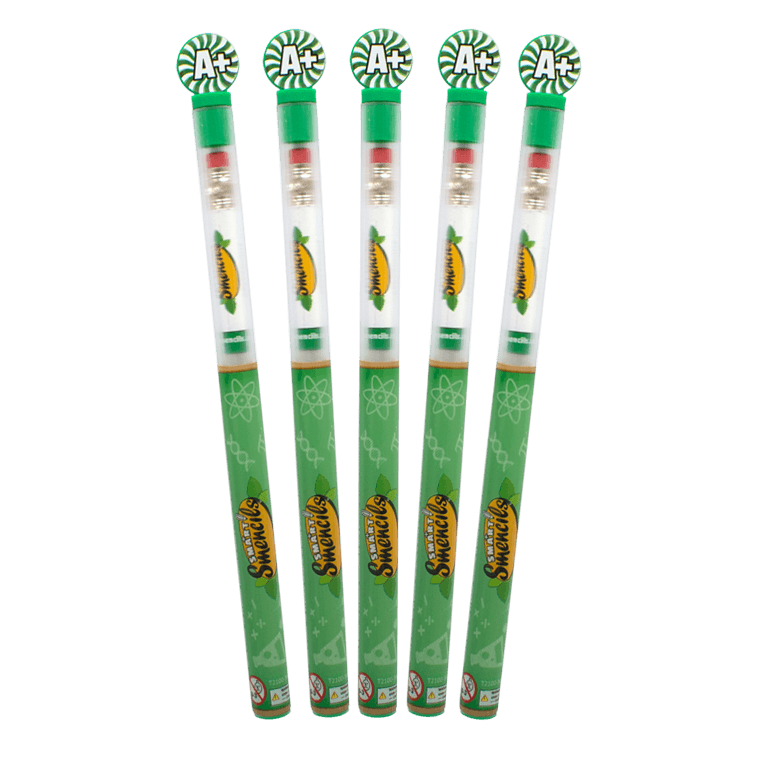 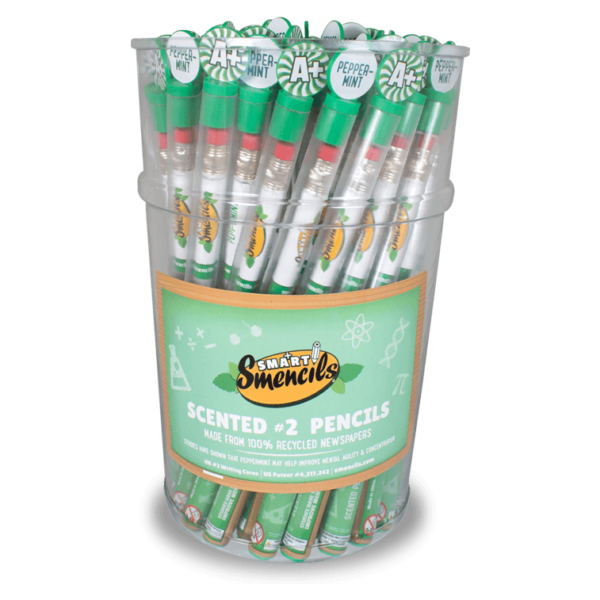 The case of6 Smart Smencils Bucket includes 50 scented peppermint pencils that are made from 100% recycled newspaper. 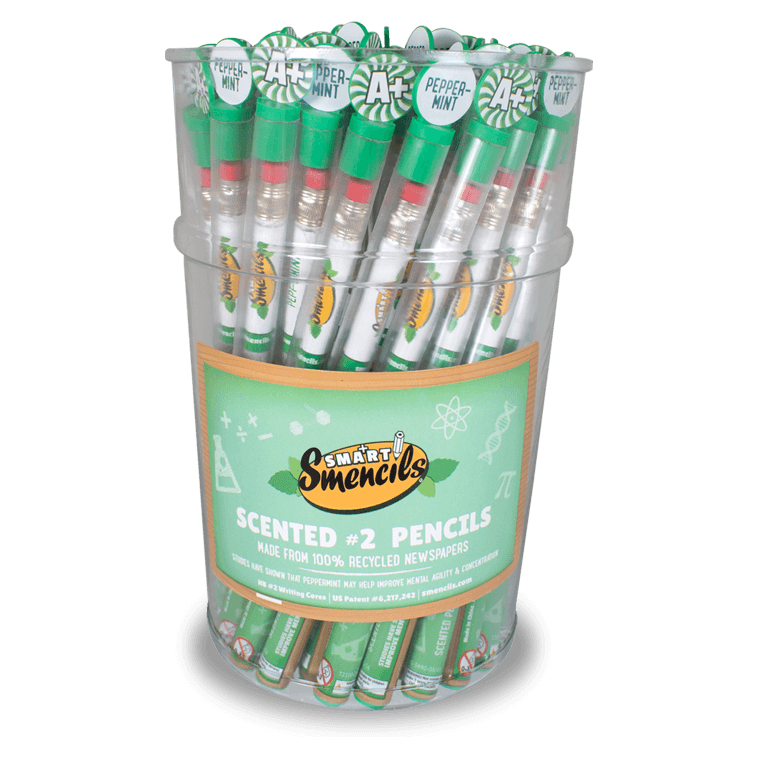 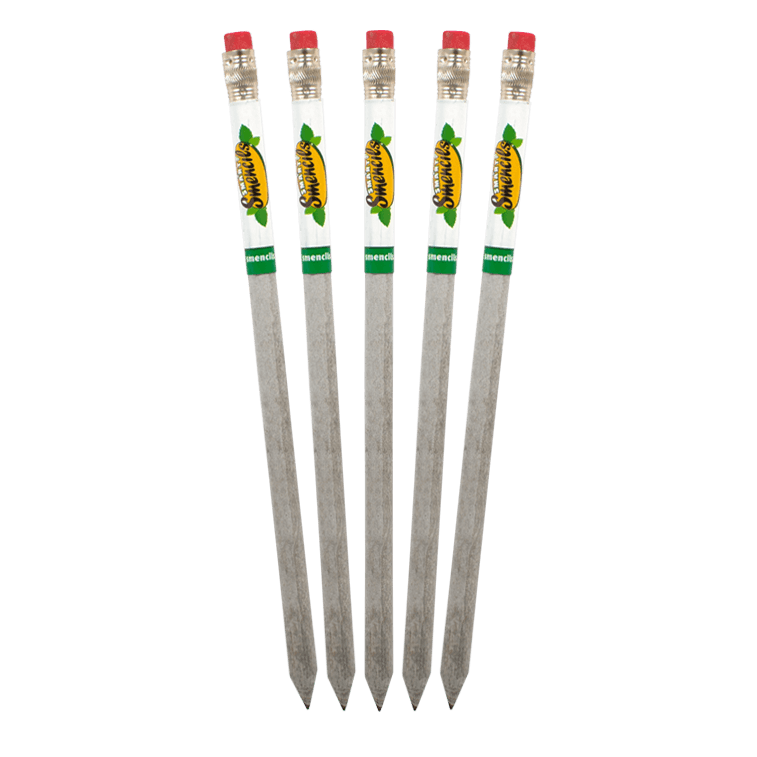 Each Smart Smencil is a No.2 graphite pencil and is packaged in its own recyclable plastic freshness tube. 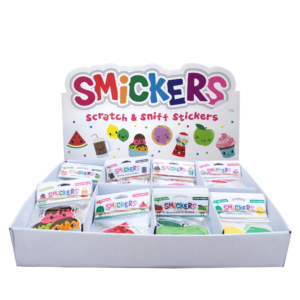 Peppermint improves mental agility and concentration. 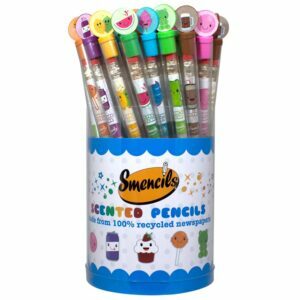 You will receive 50 Peppermint scented Smart Smencils.